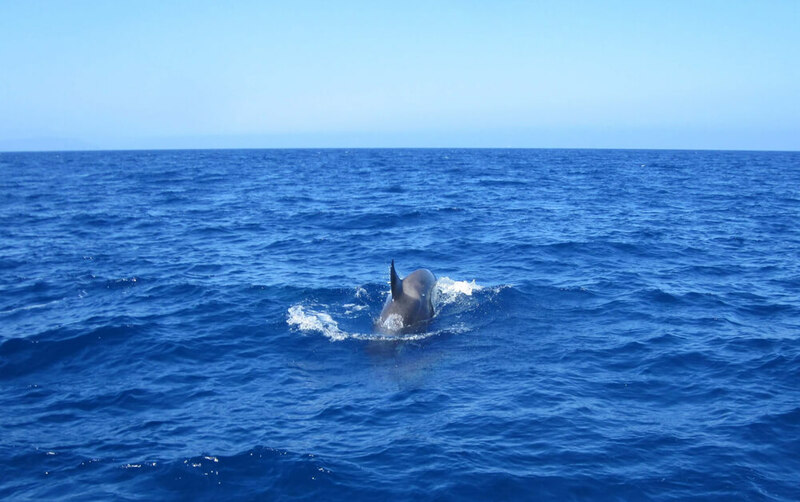 And now for the most beautiful and terrifying highlight of my summer: watching orcas at close quarters in the Straits of Gibraltar. When the bluefin tuna run from the Atlantic Ocean into the Mediterranean Sea, the orcas are waiting like hitmen to pick them off for dinner. We took an astonishing three hour boat trip with a Swiss marine charity and watched as the orcas battled fishermen in small boats over the tuna caught on their lines. A couple of boats were even taken on a Nantucket Sleighride. It was one of the most exciting events I have been witness to in a very long time. My friend Deborah Dishes has done justice to it on her blog post Tuna Wars. She took notes at the talk afterwards and I didn’t. Here is some video evidence from my shaky hand…a mother orca teaching her baby to hunt and dine on tuna. Bon appetit!